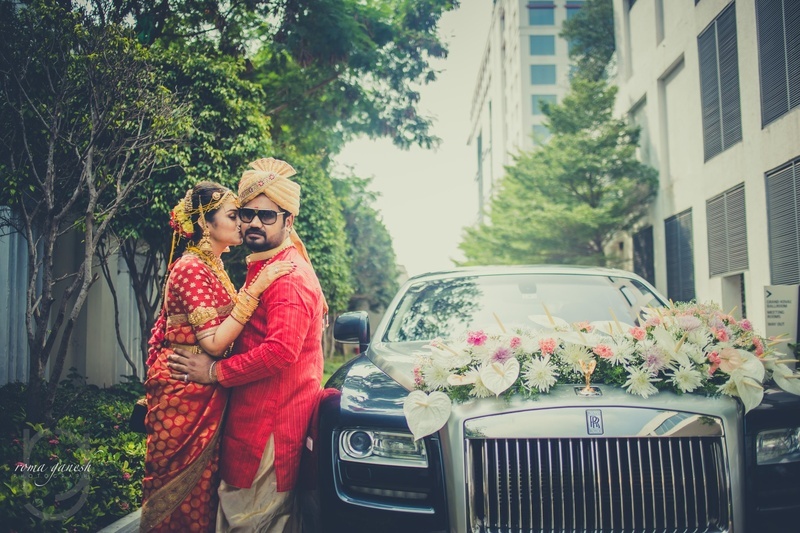 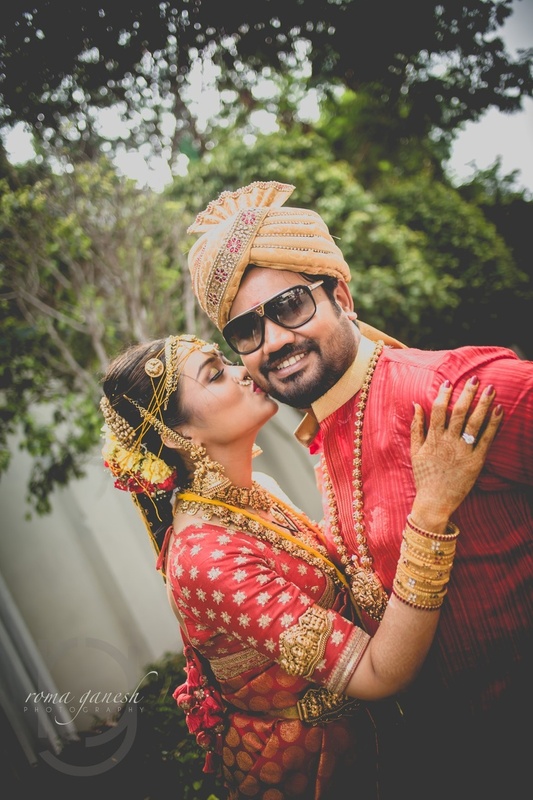 Sindhu and Charles recently got hitched in two dreamy wedding affairs and their wedding pictures clicked by Roma Ganesh Photography are to die for! 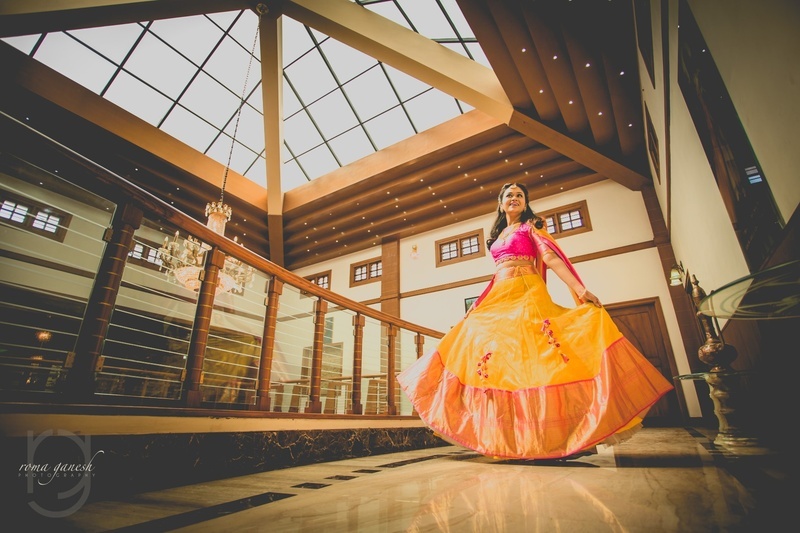 Everything in the wedding, from the decor to the outfits was topnotch! 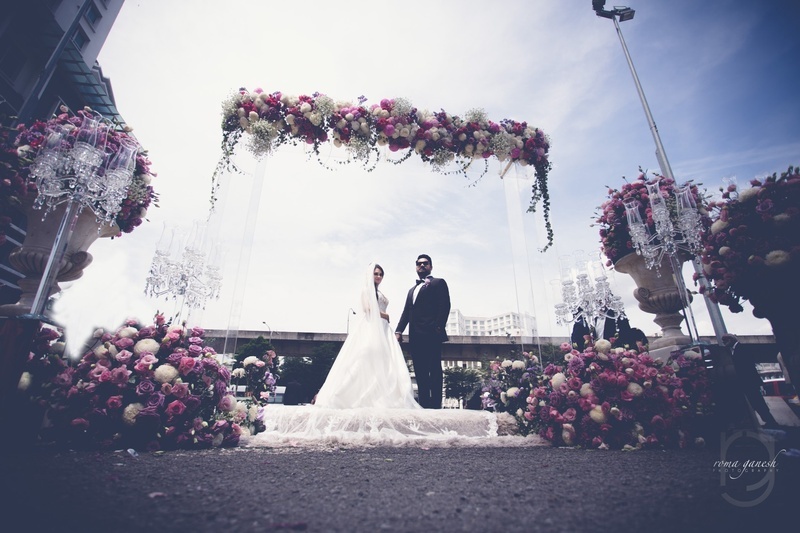 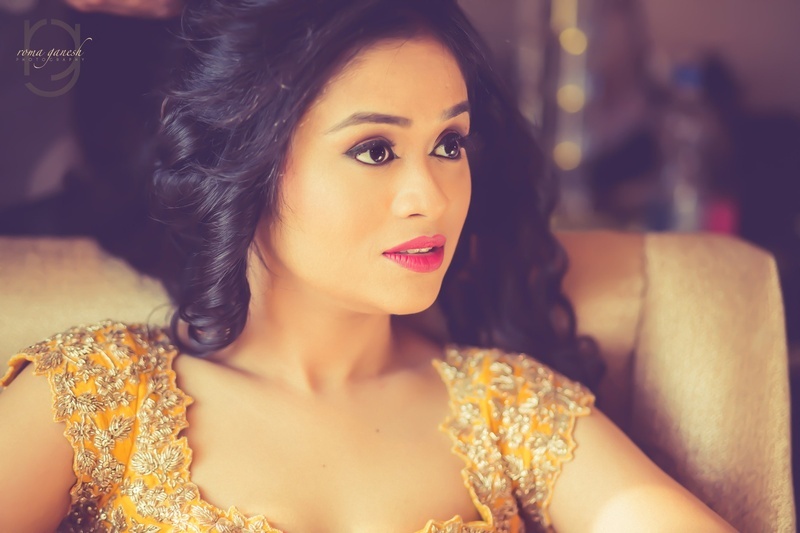 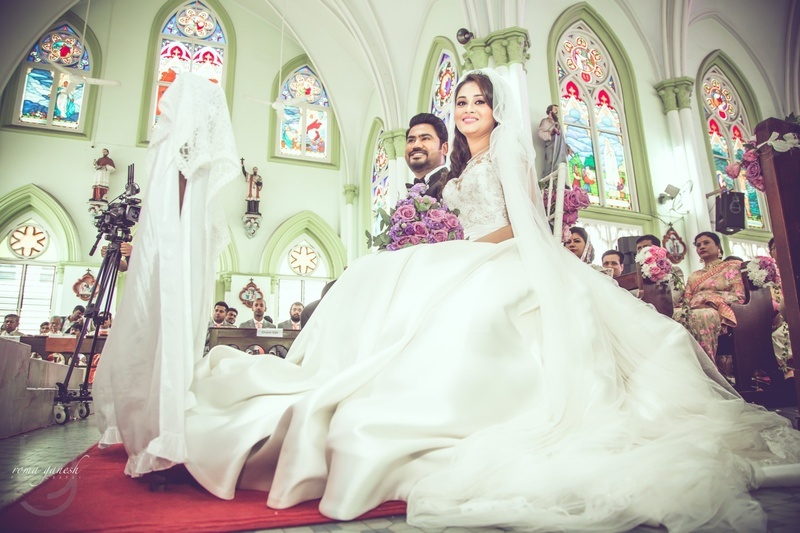 The duo were blessed to have two absolutely gorgeous weddings in Malaysia and Coimbatore respectively. 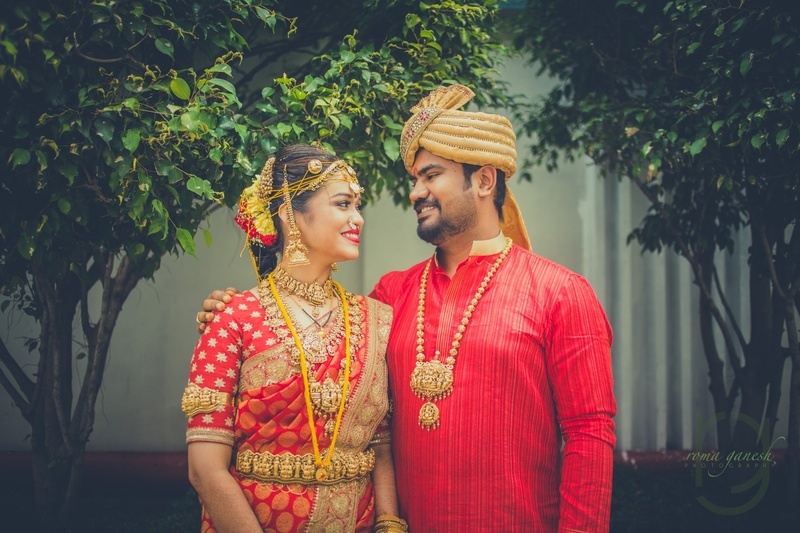 The South Indian wedding was held in Le Meridian, Coimbatore and we just can’t imagine a more perfect setting that what Le Meridian offered to this gorgeous duo. 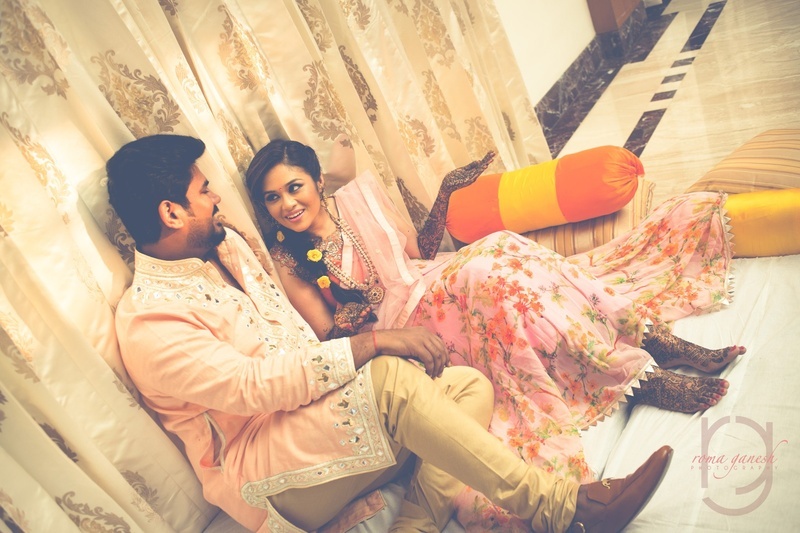 Sindhu and Charles happened to have a very cute high-school kind of love story, which was beautiful and exciting at the same time. 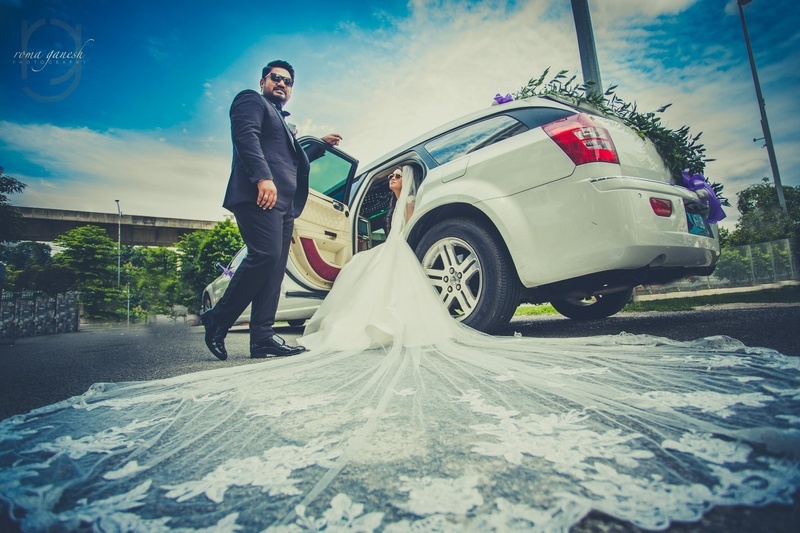 Sidhu was friends with Charles’ sister and from the very first sight Charles lost his heart to her. 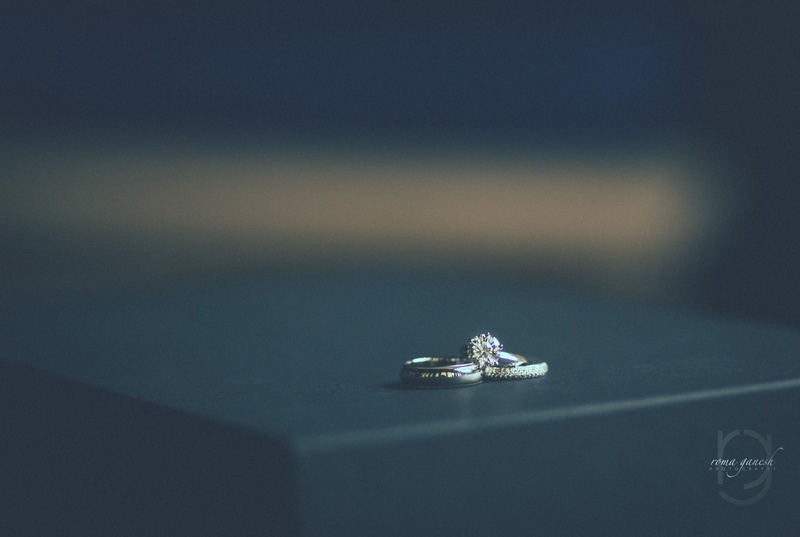 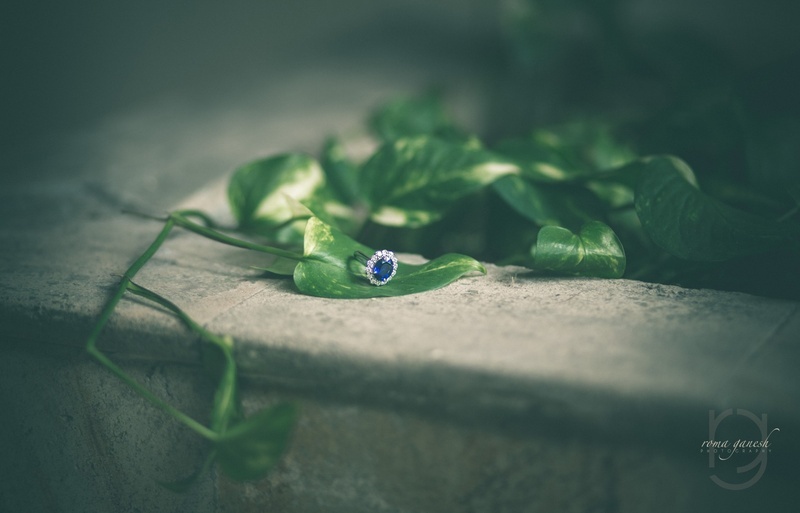 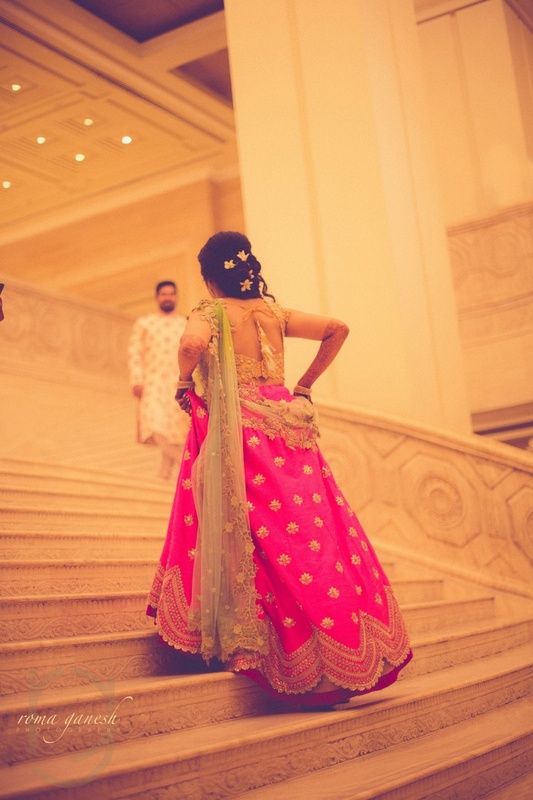 He pursued her for quite some time before she actually realised her feelings for him. 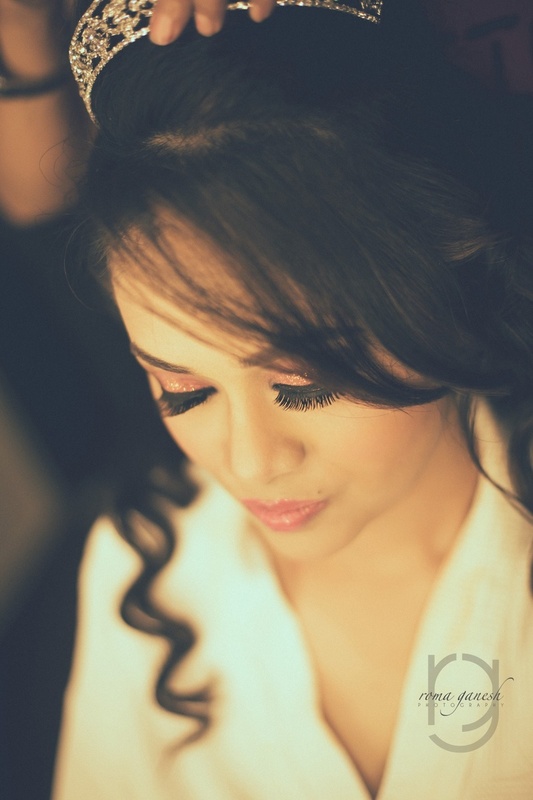 Boss Lady, indeed! 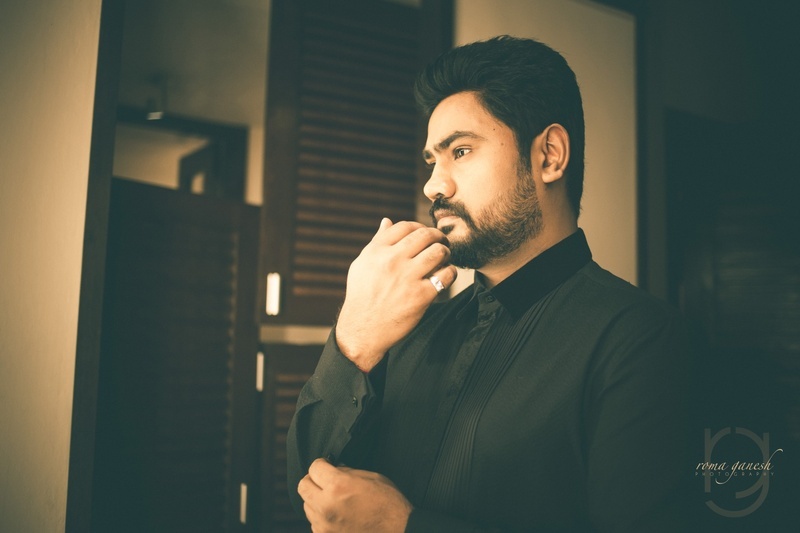 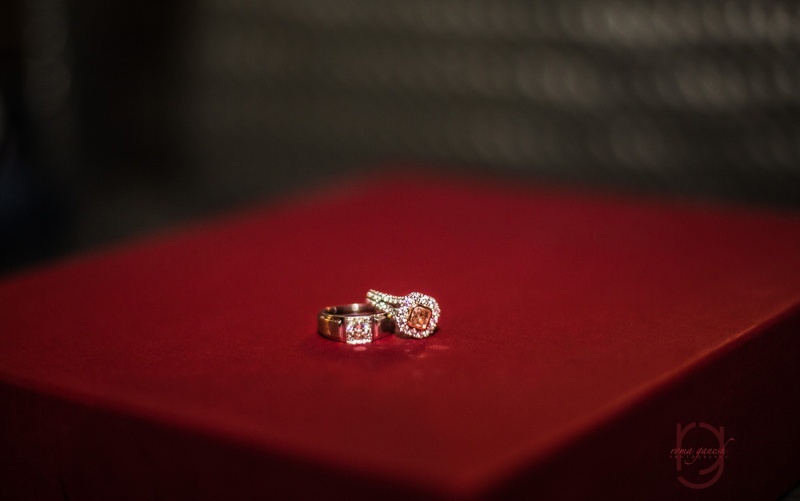 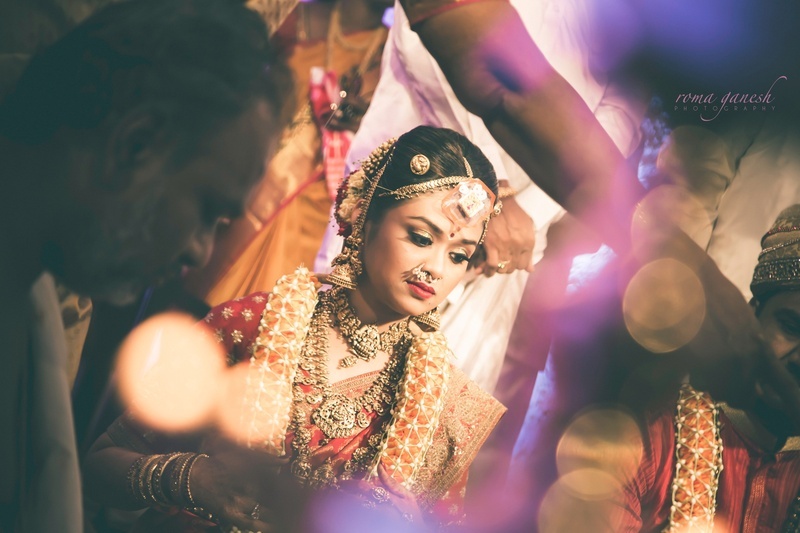 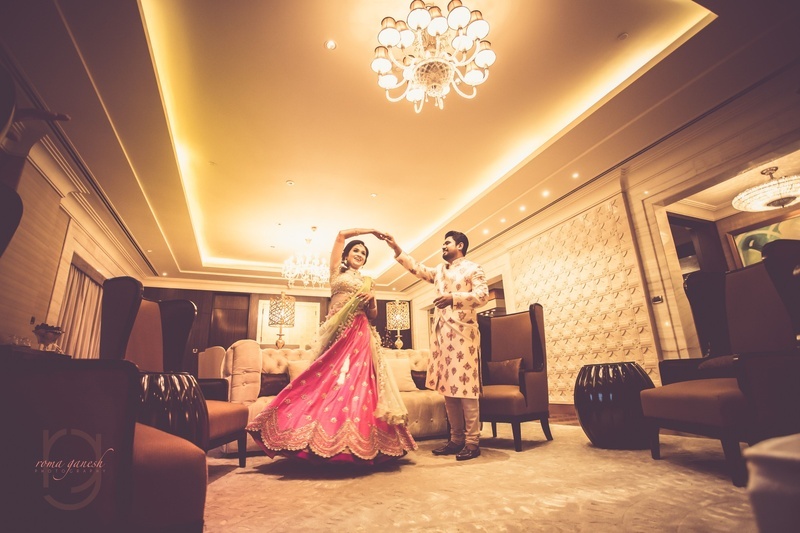 The couple started off with their beautiful series of wedding celebrations from the alluring engagement ceremony held in ITC Grand Chola, Chennai. 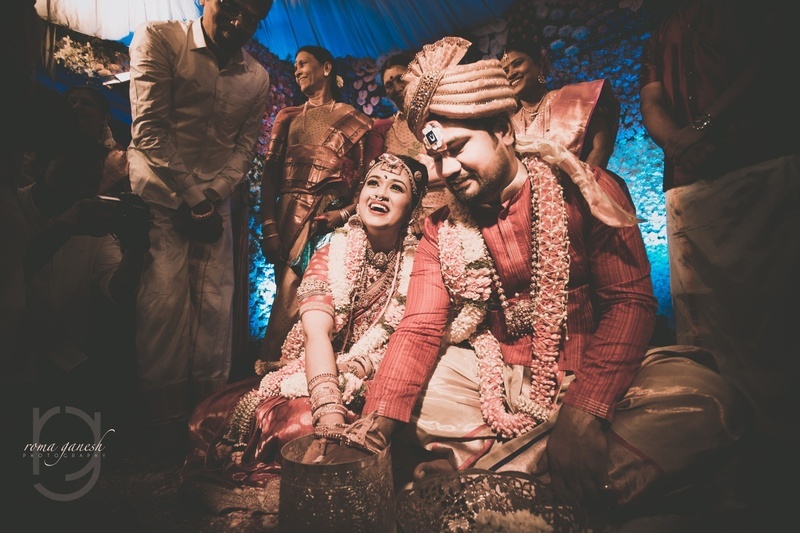 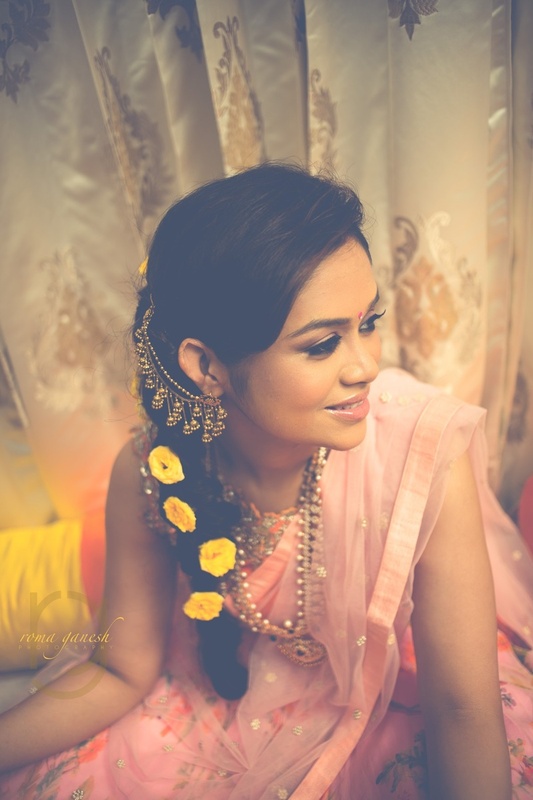 The bride opted for a gorgeous Anushree Reddy lehenga while the groom wore a Sabyasachi outfit. 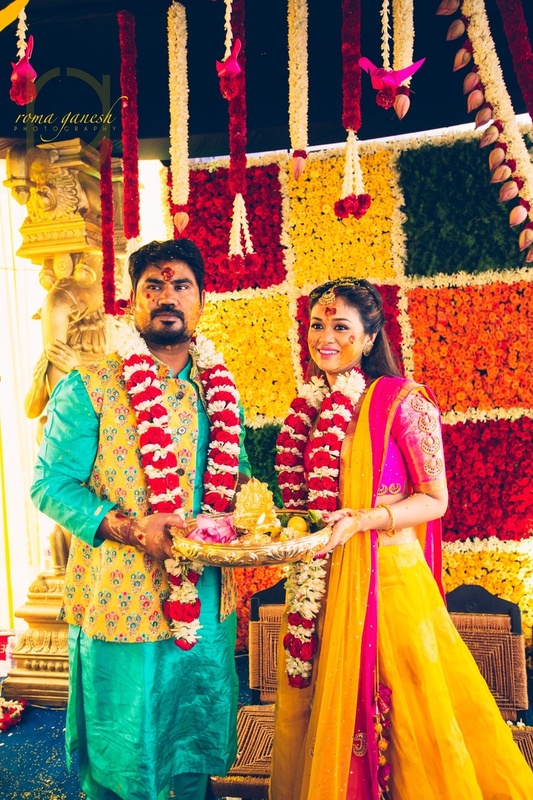 Followed by the engagement ceremony, the couple had a rocking cocktail party in Malaysia. 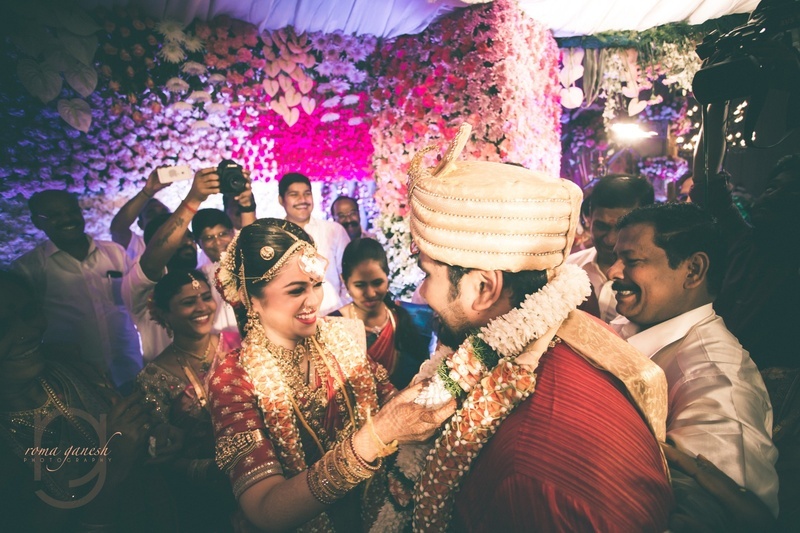 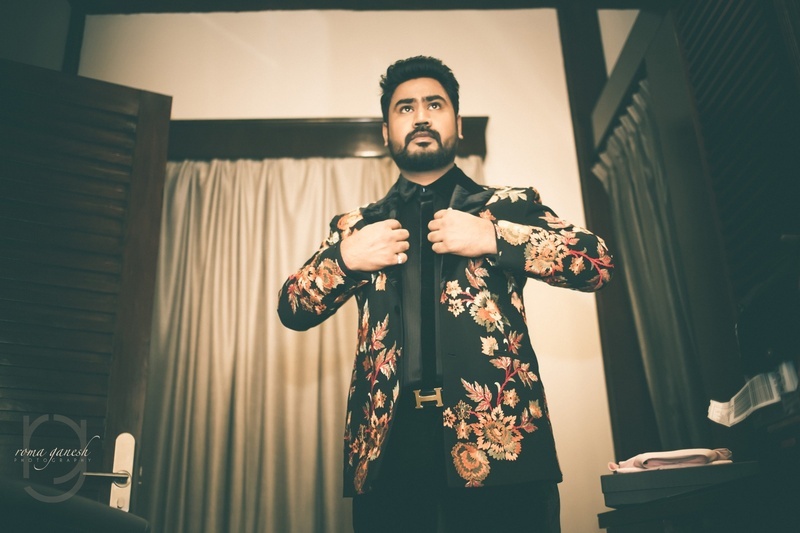 The bride wore a gorgeous Oscar De La Renta gown, while the groom wore a Manish Malhotra suit. 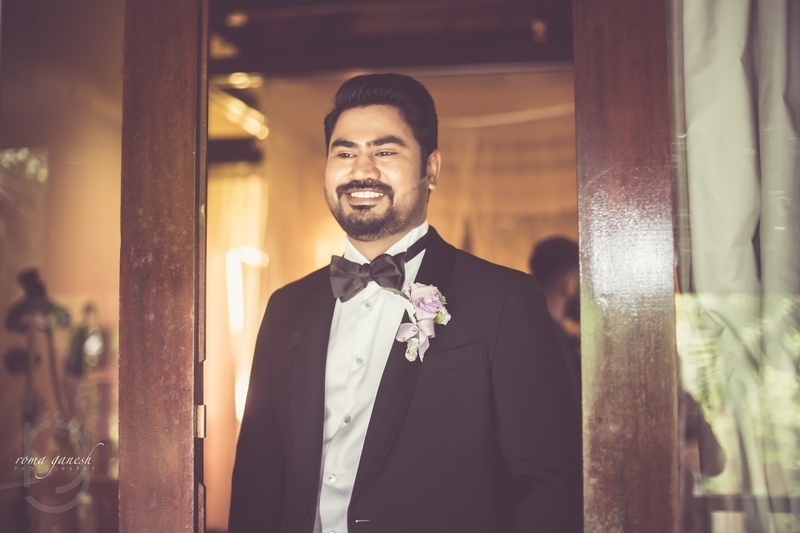 The christian wedding ceremony is followed the cocktail night. 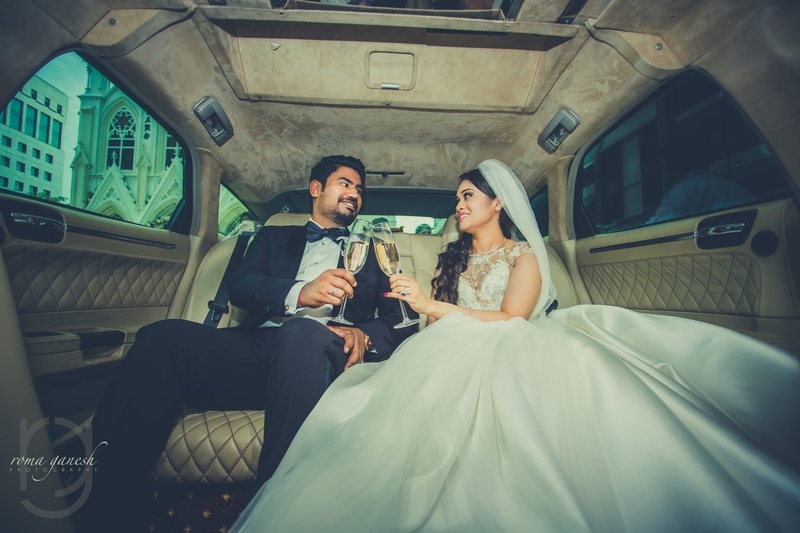 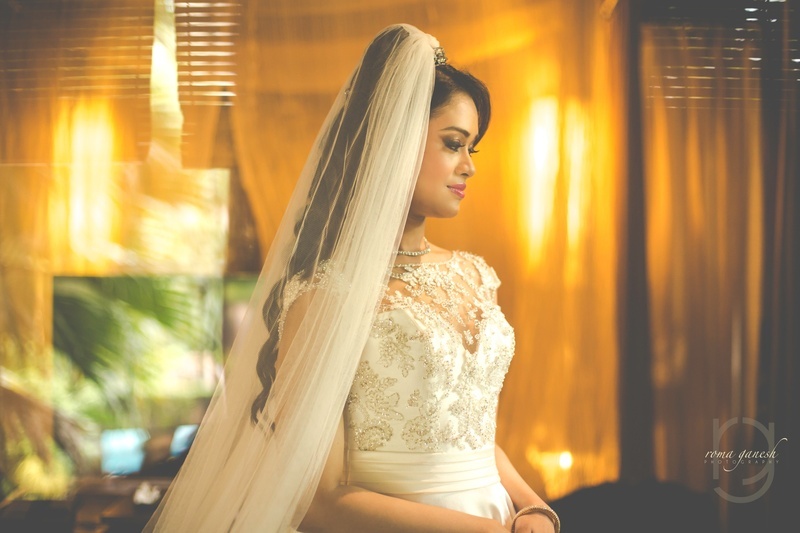 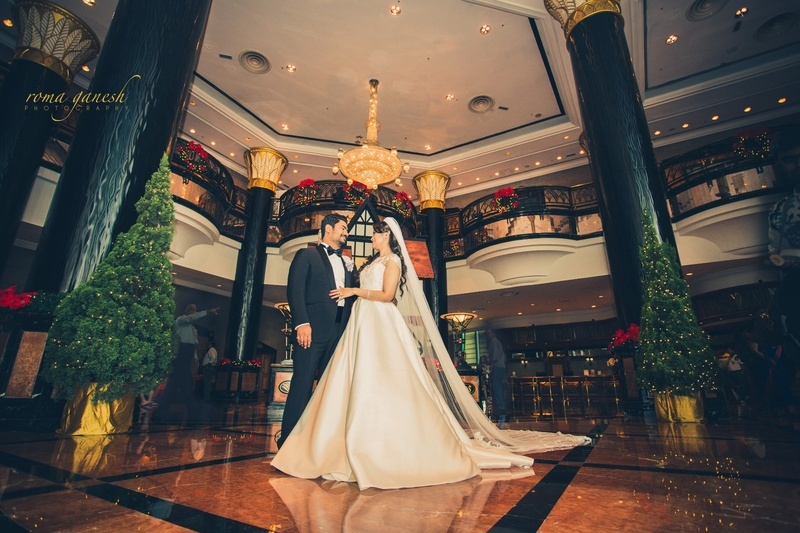 The bride looked absolutely mesmerising in a Pronovias gown and with stunning makeup by Vikram Mittal. 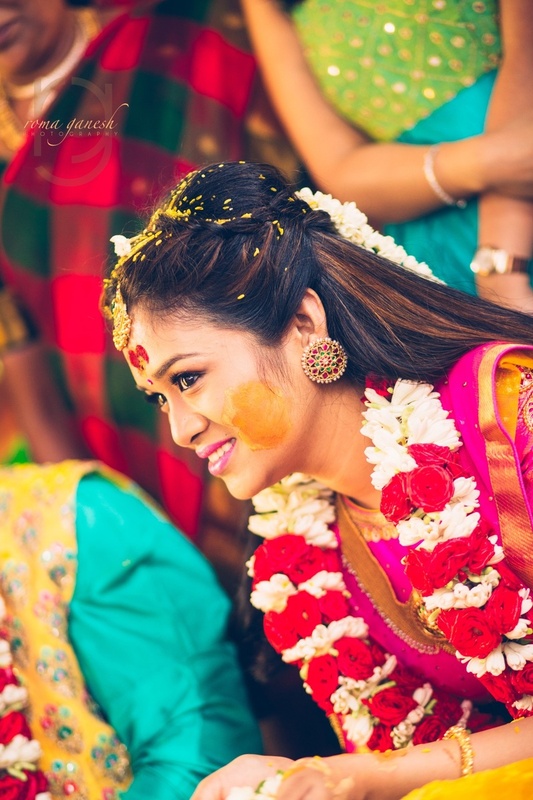 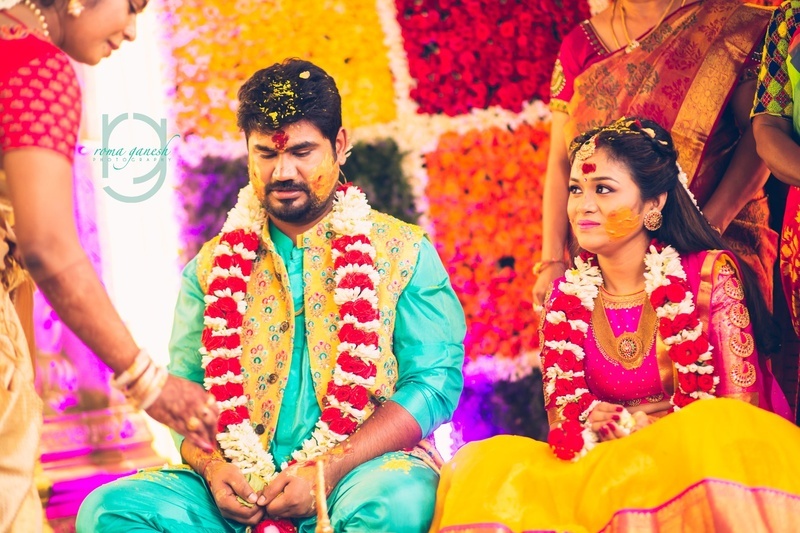 The Haldi and Mehndi ceremony took place after that in Coimbatore. 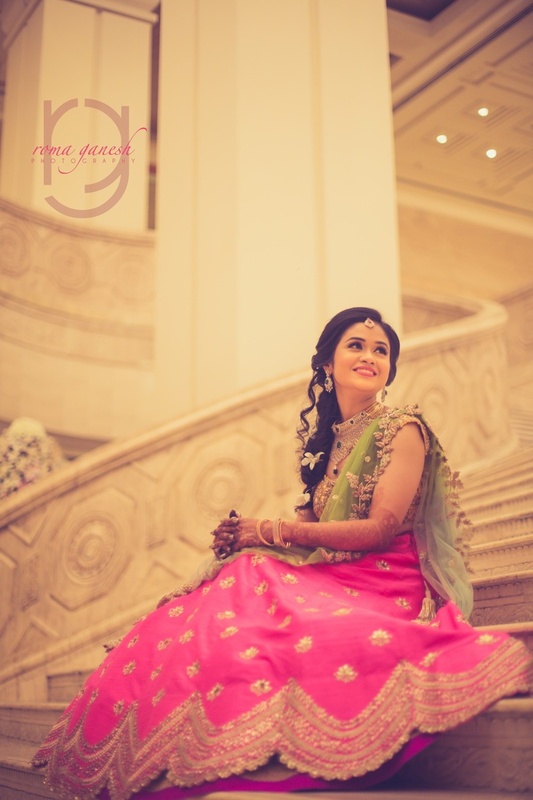 The bride looked dreamy in a Kavita Gutta outfit while the groom opted for a Sabyasachi kurta. 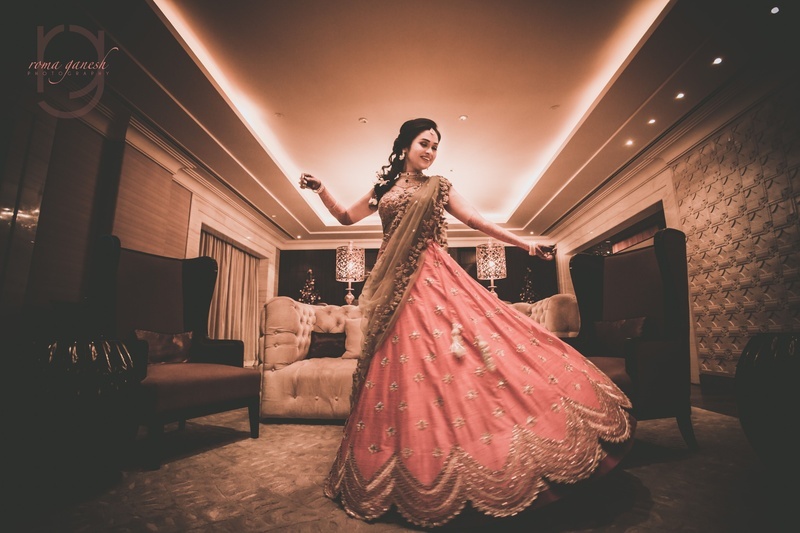 For the Mehndi, the bride opted for a stunning Anushree Reddy lehenga while the groom rocked the ceremony in an Abu Jani Sandeep Khosla outfit. 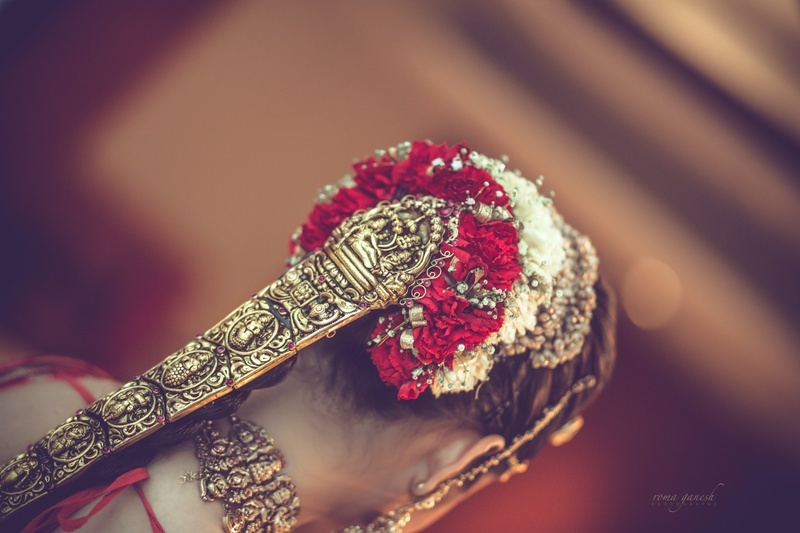 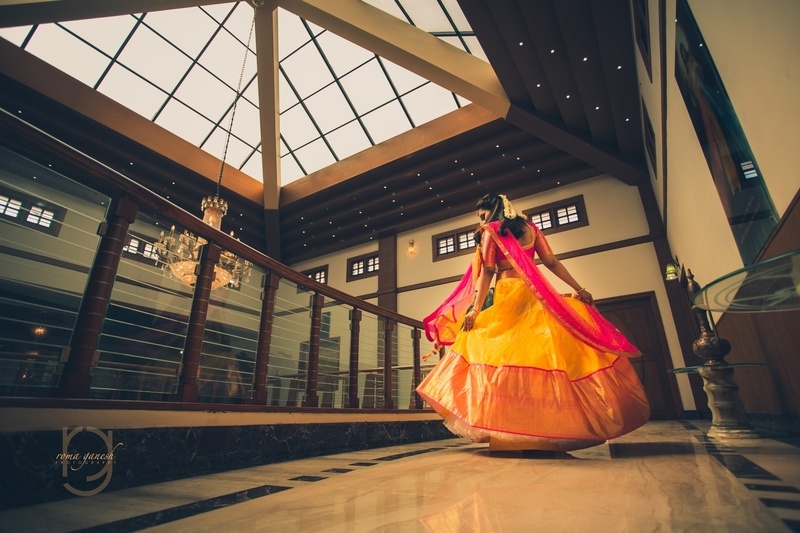 The Hindu wedding that took place in Le Meridian, Coimbatore was a grand ceremony right out of a fairytale! 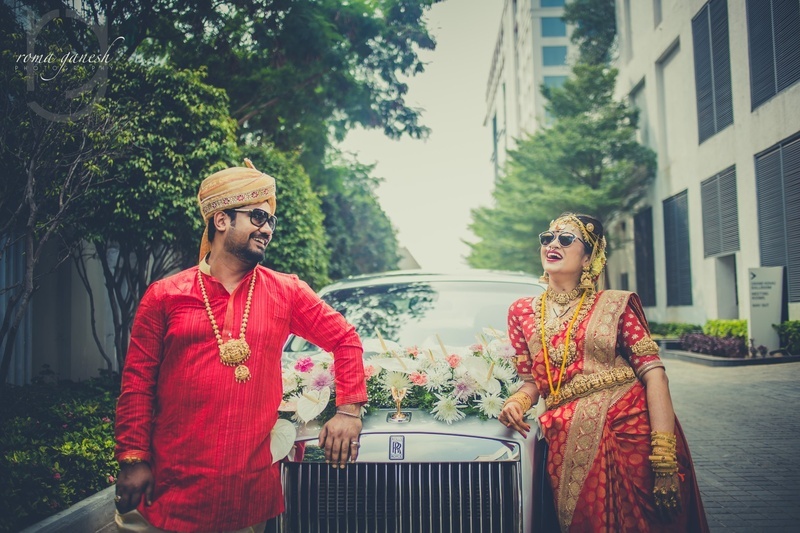 The bride wore an orange Sabyasachi kanjivaram saree and the groom opted for a colour-coordinated orange Sabyasachi kurta. 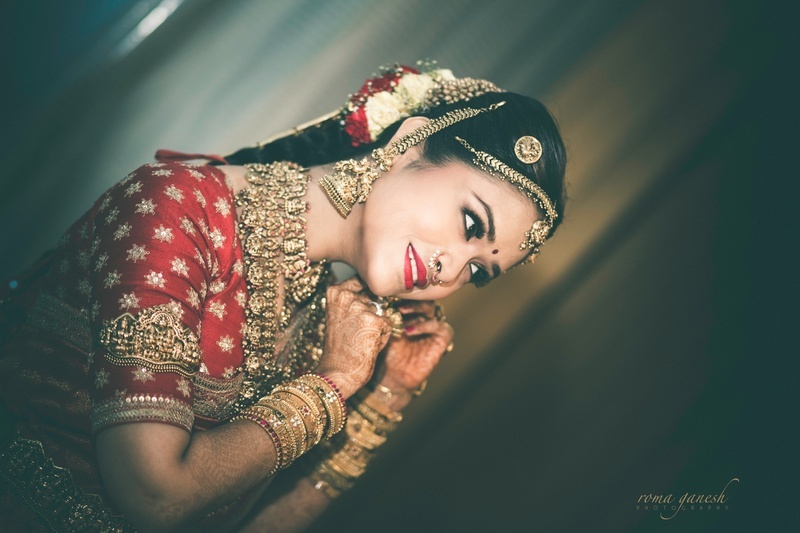 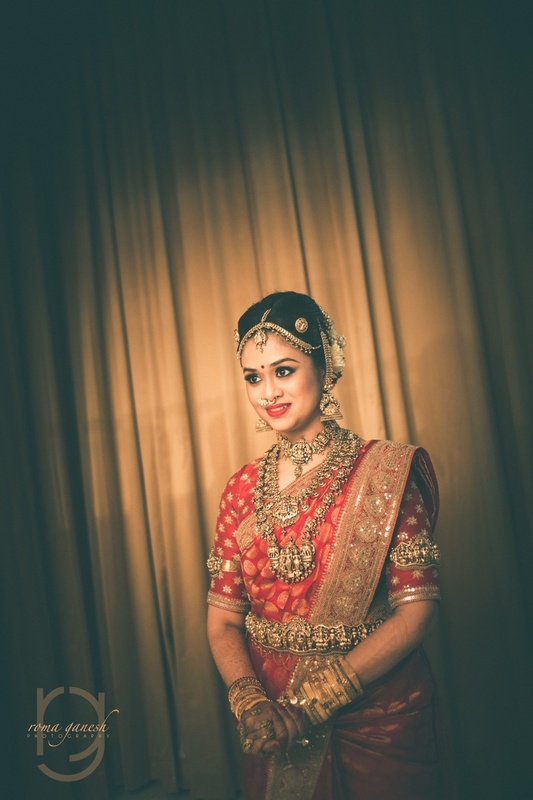 The bride looked like an absolute goddess in her heavy temple jewellery and ruled hearts with her flawless look. 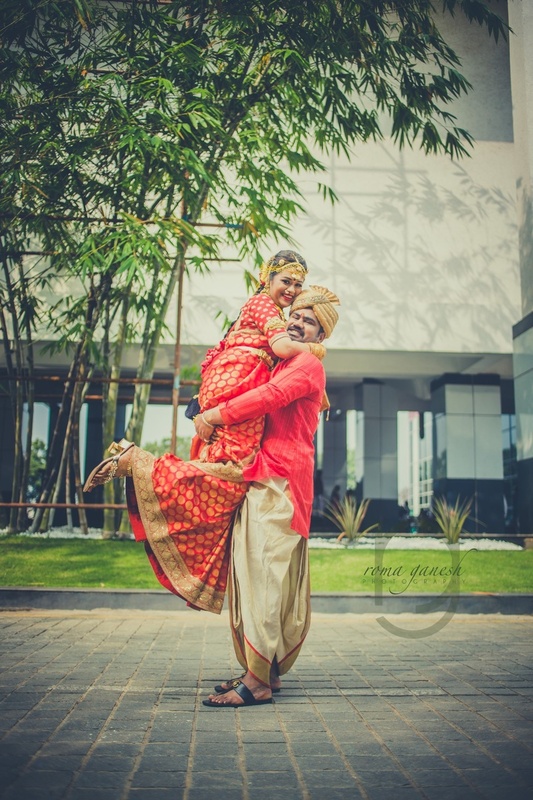 We wish this endearing couple a lifetime of happiness ahead.